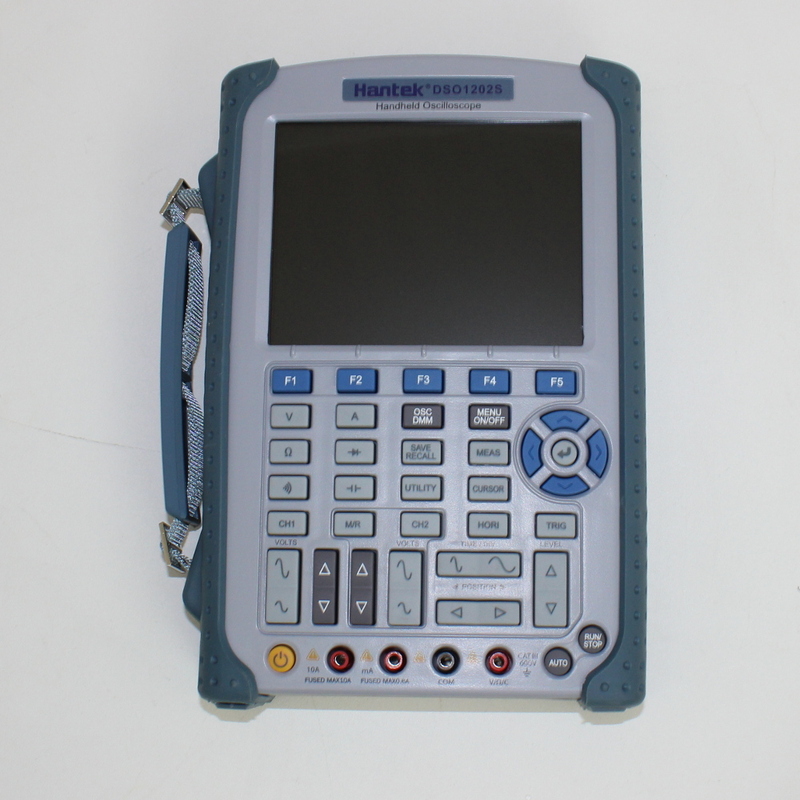 Hantek's DSO1202S - 200MHz High Isolation Handheld Oscilloscope with Digital Multimeter. 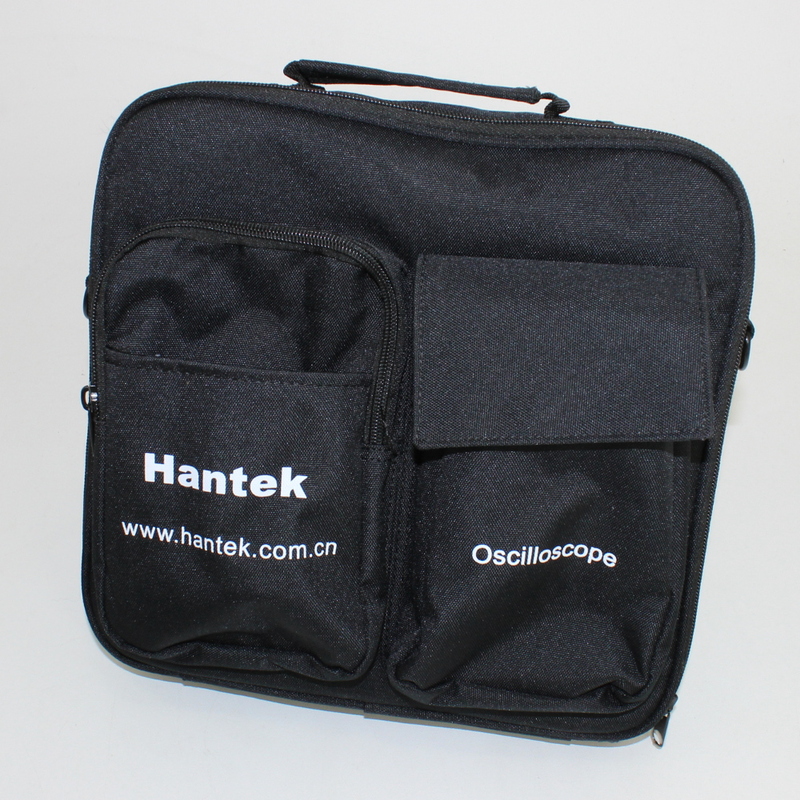 Even at this low price all of our Hantek oscilloscopes are shipped for FREE and supported from the United States. 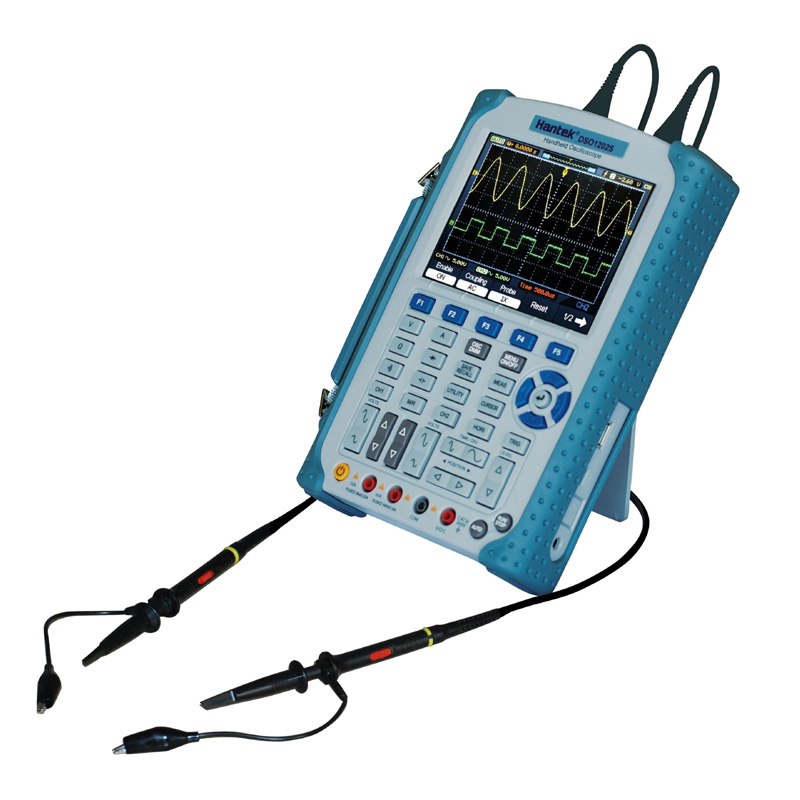 The Hantek DSO1202S is a feature packed digital storage oscilloscope and digital multimeter in a compact, portable handheld packate. 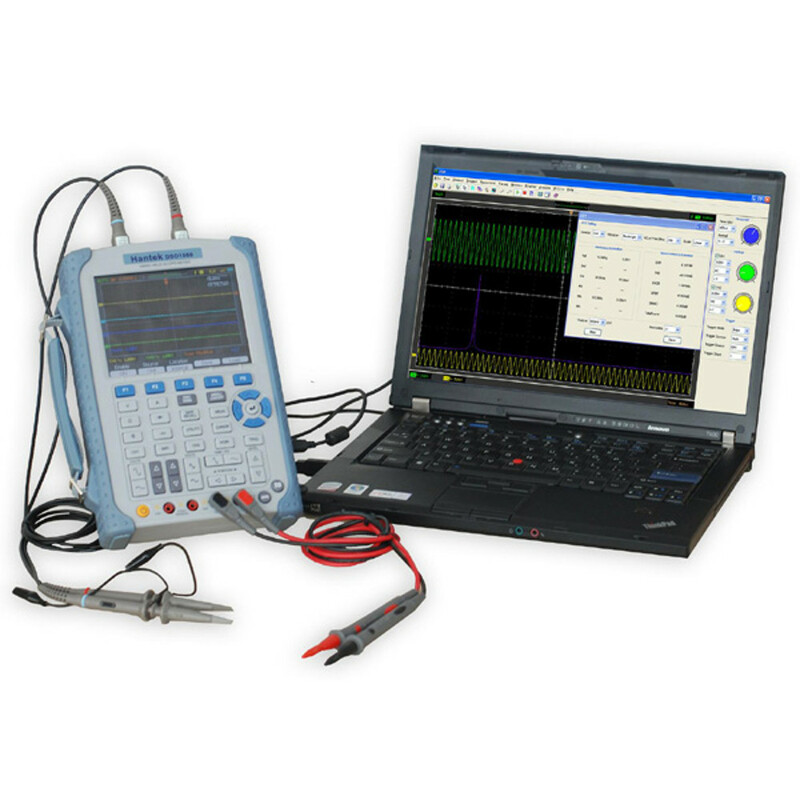 This 200MHz oscilloscope provides 1 Gig/second real-time and equivalent sample rates up to 25GSa/s. In addition, it has substantial memory depth for better observation of waveform details with the onboard waveform recorder that can capture and replay input waveforms from both channels with a maximum record length of 1000 frames. 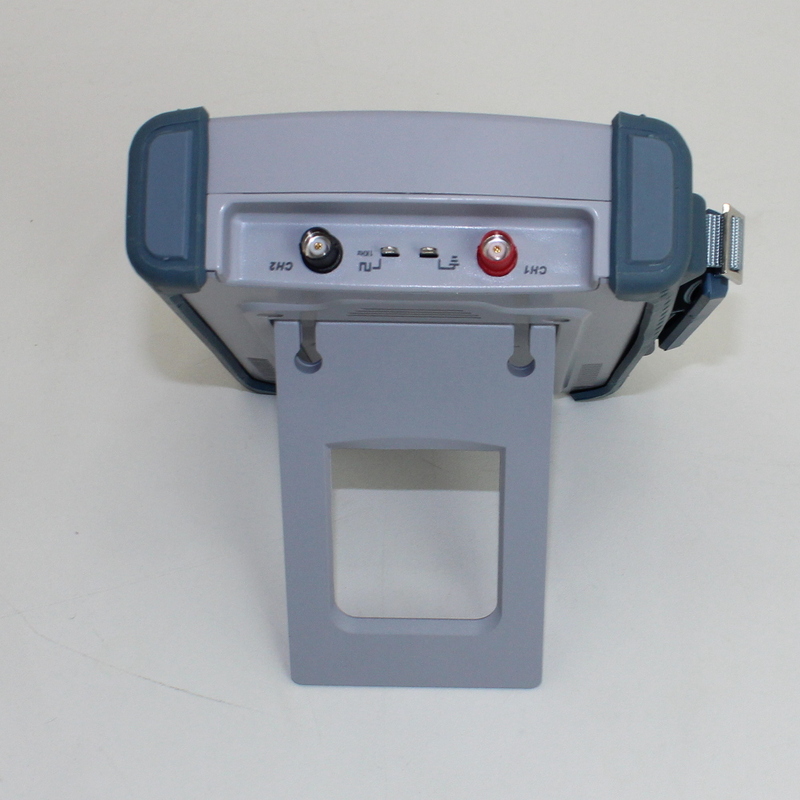 Waveforms are displayed on a 5.7 inch color TFT LCD which also includes Windows-style interfaces and menus for easy operation. Here is a sample screenshot from this Hantek Digital Handheld Oscilloscope. Copious menu information and easy-to-operate shortcut buttons allow you to quickly gather measurements. 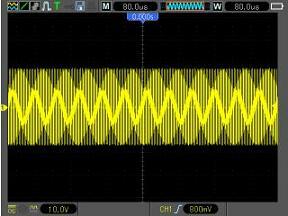 This Hantek model includes an autoset function that lets the user detect sine and square waves automatically. Set up is a snap with the probe check wizard that guides you through adjusting the probe compensation and setting the probe's optional attenuation factor. The DSO1202S has 2 highly isolated channels that provide separation from ground and isolation between channels allowing you to take measurements with little worry about damaging the Hantek's circuitry. With its built in FFT function the DSO1202S is able to convert a time-domain signal into its frequency components to measure harmonic content and distortion in systems. 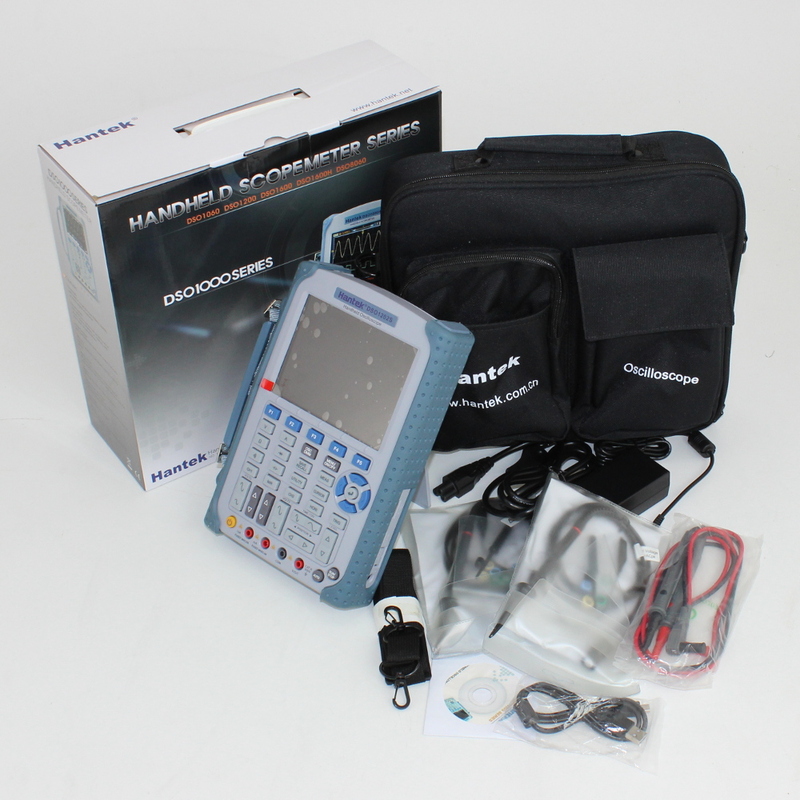 For more information, refer to the Hantek DSO1202S Digital Handheld Oscilloscope Owner's Manual. This is the Hantek Digital Storage Oscilloscope Logging Software. Here is the Hantek DSO1202S USB Driver. Here is a back-up copy of the Hantek DSO1202S Firmware. Check out the CS blog for an article about Using a USB Flash Drive with the Hantek 1000 Series Oscilloscopes. Note: Sometime between 2009 and 2018 the battery connector was change. Our new replacement batteries will fit any model we currently carry. If you have the older style battery plug, it's a JST 2pin type PH connector. The battery specs are the same, but it would require a connector replacement.